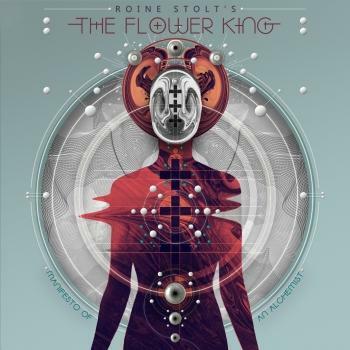 Artist "Roine Stolt's The Flower King"
A major figure in Sweden's rock history, guitarist/singer/composer Roine Stolt led two of his country's most successful progressive rock bands: Kaipa in the 1970s and the Flower Kings from the '90s onward. His distinctive guitar style combined David Gilmour's debonair midtempo, Steve Howe's sharp edges, and Frank Zappa's virtuosity. His vision of a positive world governed by beauty (akin to Yes singer Jon Anderson) gave his music an aura that appealed to many progressive rock fans. Born in Uppsala, Sweden, on September 5, 1956, Roine Stolt started playing bass in the late '60s in local rock cover bands. He quickly discovered the burgeoning British progressive rock scene and had switched to electric guitar by the summer of 1974 when, at age 17, he became the lead guitarist of the professional prog rock band Kaipa. This band recorded three albums for the Decca label (reissued on CD by Musea) and is still considered to be the most important Scandinavian prog act of the '70s. Stolt left Kaipa in 1979 to form his own group, Fantasia, who recorded two albums and disbanded in 1983 after a second, more commercially oriented LP for Warner. Stolt then started to work as a session musician and record producer, drifting away from symphonic rock esthetics, something very obvious on his Hall & Oates-like 1985 solo album Behind the Walls (his first performance as a lead singer), and The Lonely Heartbeat, released in 1989 under the name Stolt. Witnessing the progressive rock revival of the '90s, a movement that partly originated from Sweden with bands like Landberk and Anglagard, Roine Stolt was quick to come back to his ancient love. Recruiting ex-Jonas Hellborg drummer Jaime Salazar and ex-Samla Mammas Manna percussionist Hans Bruniusson, he released The Flower King in August 1994. Stimulated by the warm response, he enlisted brother Michael Stolt (bass, vocals) and longtime friend Tomas Bodin (keyboards) and formed the Flower Kings, which would remain his principal musical project for years to come. At the helm of the Flower Kings, Stolt experienced international fame as the band became, with the U.S.'s Spock's Beard, the best-selling '90s prog rock act. Albums were released at an incredible rate: six studio albums (including two two-CD sets) in the band's first six years of existence. Meanwhile, Stolt found time to record two solo albums, Flower King and Hydrophonia (the latter an instrumental symphonic prog CD) and was part of the prog rock supergroup project Transatlantic, who released an album, SMPT:e, and toured in 2000. Both bands took up most of his time for the next decade-and-a-half though he managed to issue one more solo album, Wall Street Voodoo, in 2005. In 2014 at the instigation of InsideOut Music label boss Thomas Waber, Stolt met former Yes vocalist Jon Anderson. They were asked to consider recording a series of suite-like tunes that would echo what Yes accomplished on Tales from Topographic Oceans and Anderson's own Olias of Sunhillow, albeit with a modern prog bent. After trading ideas back and forth on the internet for months, live sessions were initiated in March of 2015 with a full band and backing vocalists selected by Stolt. The album Invention of Knowledge, billed to Anderson/Stolt, consisted of four long tracks. It was released to global acclaim by Inside Out in June of 2016. Late in the year, Stolt approached Waber with the idea that he'd like to assemble "a new band moving in a fresh direction with new collaborations." 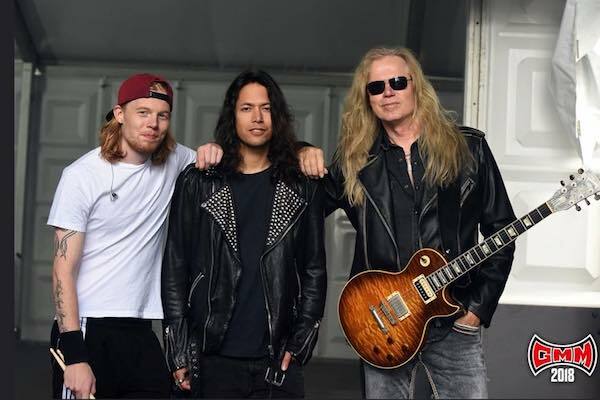 To that end, he enlisted Flower Kings' bassist Jonas Reingold, keyboardist Tom Brislin (Yes, Renaissance, Camel), drummer Marco Minnemann (Aristocrats), and vocalist/guitarist Daniel Gildenlöw (Pain of Salvation). Calling themselves the Sea Within, they issued a self-titled offering for Inside Out in early 2018. Later that year, the guitarist's Facebook page announced the imminent release of Manifesto of an Alchemist by Roine Stolt's the Flower King. Though considered a solo release, Stolt enlisted a large cast of guest collaborators including his Sea Within bandmates Reingold and Minnemann, as well as old friends Hans Froberg, Michael Stolt, Max Lorentz, Zach Kamins, Rob Townsend, and Nad Sylvan. The album was issued by Inside Out in November of 2018.